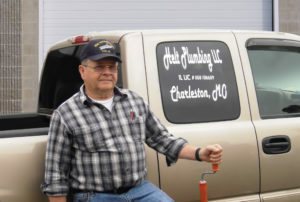 Carl Helt expects Helt Plumbing crews to remove their shoes before entering customers’ homes. 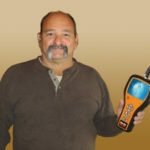 With nearly 50 years of service as a plumbing and drain cleaning expert, Helt insists on insuring those high professional and performance standards with superior equipment. That sort of durable dependability made Carl Helt a lifelong General customer. And that’s why he especially loves Speedrooter 91®. “We used it on four separate jobs in a day and it came through every time!” Helt quickly adds. With plenty of raw power for long, tough jobs, field-proven Speedrooter 91 blends rugged reliability with optimal control and ease-of-use. The latest version – Speedrooter 92® – can really take a beating. The durable design features a braced frame at key stress points, a drum supported front and rear for longer bearing wear, and Flexicore® cable – the industry standard for toughness. Heavy duty wire tightly coiled around 49-strand aircraft-type wire rope, General’s heavy duty Flexicore® cable blends superior kinking resistance and unequalled strength with the right amount of flexibility. It’s so tough that it carries the best warranty in the business – one-year protection against breakage. 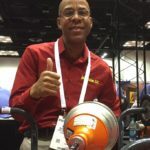 One person can easily move Speedrooter onto a truck – or around the job. The adjustable height, swept-back handle also augments maneuvering leverage. Professionals like Carl Helt also appreciate General’s interchangeable drums with see-through cages to gauge remaining cable. Quickly switch from 3/4” or 5/8” cables to a small drum with 1/2” cable to clear smaller lines. 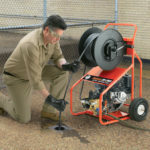 Helt’s General drain cleaning arsenal also includes Mini-Rooter® for smaller jobs – and two innovative Kinetic Water Rams™ that quickly and cleanly clear clogs with compressed air power.